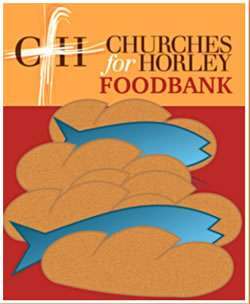 All around Horley local people do great things for our community. They volunteer, they raise money for local charities and much more. Here are some recent examples of what you have done to bring a smile and help others. The Forget Me Nots Club in Smallfield. The club is for referred dementia patients and their carers. We are purely a voluntary organisation and our funds are kindly and gratefully donated. We have been offered funding by Tesco’s. If you are shopping in Tesco Gatwick or Tesco Horley please collect a disc from the cashier and put it into the Forget Me Nots donation box. 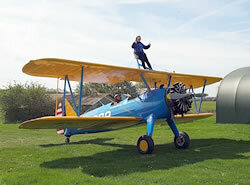 How about this as a way of raising money for your favourite charity! 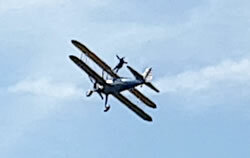 Jennie Saunders, who lives in Horley, completed an amazing 'Wingwalk' to raise money for her charity Motor Neurone Disease. So far she has raised £2050. To read Jennie's story about her father who died from Motor Neurone Disease, and also to make a donation go to Jennie's Just Giving page. 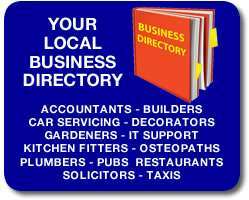 See other local businesses and services on the Horley Online Business Directory. 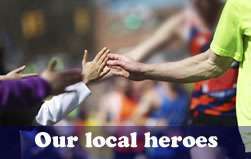 Use our contact form to send end us your information about local heroes, fundraising and our local Horley charities. Or post something on the Horley Town Facebook Page. Horley Lions Club is dedicated to the idea that the men and women who live in a community are in the best position to know where help is necessary and why. Visit their website. Active Prospects is based in Horley. Active Prospects enables people with learning disabilities, physical and mental health needs to live full and aspiring lives. You can help by donating to the Active Prospects charity shop or donate via the Active Prospects website.